In case that you are professional architect or an engineer, one of the first things you require to give your dream project the required shape is a well built and designed architecture software. These softwares are designed to make your work less time and effort consuming, while bringing forward the best and most desired professional results. Here under are mentioned the top 7 architecture softwares that you can choose to download from. 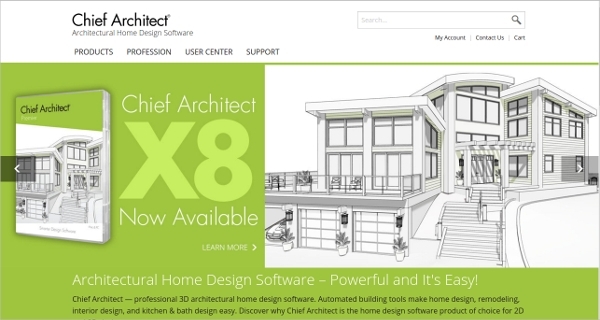 When speaking of the best architecture softwares one name that shoots right to the top is Archi CAD. The design and interface of the software allows it to be used by first timers, students and professionals alike. 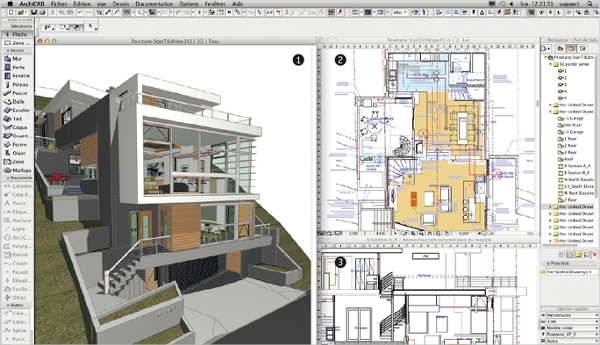 Whether you want to create a 2D project or a 3D project, the ArchiCAD helps you do both with much efficiency. In case that you are looking for advanced features and functions in your software, this is the one you should be rooting for. You can also increase its potential, by updating the software from time to time. 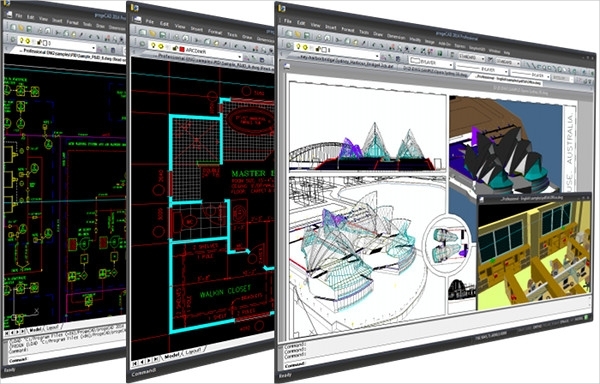 Some of its best features include-BIM Cloud, BIMx, Eco Designer Star, etc. Another, great architecture software that you can benefit much from is the progeCAD 2016 professional. This is one of the most widely used architecture softwares by professionals. Its user friendly interface makes it quite popular with architecture students as well. It can be used to create 2D and 3D projects with much ease. 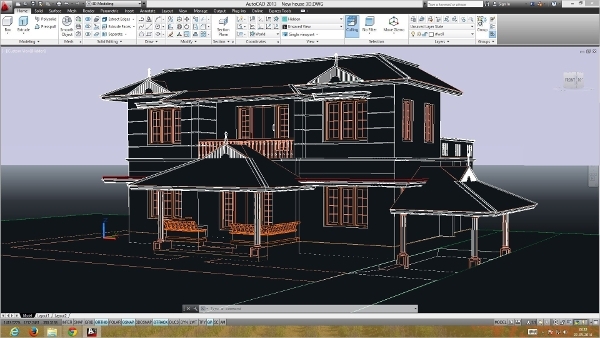 The types of files used by the software include AutoCAD DWG files, which do not require further conversion. It is the one stop solution for all Achitects out there. 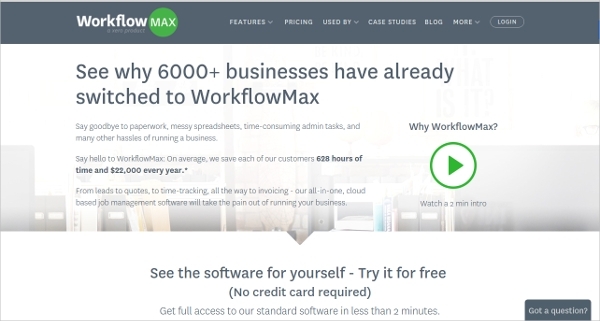 Some of the many functions and work aspects covered by Workflow max, include- timesheets, quotes, costing, job tracking, reporting, project management, lead management, invoicing, etc. The application is dedicated to producing business solutions completely based on cloud system. Some of the parties other than Architects benefitted by the software include- businesses, lawyers, construction firms, IT companies, etc. 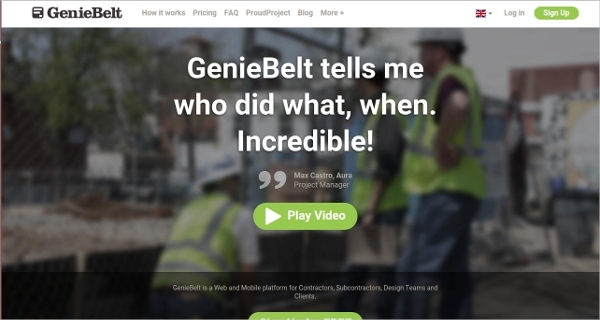 If you are looking for a software that is handy,high in terms of mobility factor and can be accessed from anywhere and everywhere, then Genie Belt is the software for you. It is mobile friendly, which means it can be easily downloaded and installed on your mobile phone, ready to be used. It is one of the best softwares for drawing and full document management. In case that you are in the lookout for the perfect designing solutions for your building and construction projects, Arcon Evo is the best software you can download. Create the most efficiently designed floor plans, cross sections, elevations, etc, with the software. The software comes with a highly efficient 2D to 3D interface. This allows you to convert any design in to a fully equipped 3D model with ultrafine finishes. When speaking of the best and leading architecture softwares, one that deserves a must mention is the chief architect. 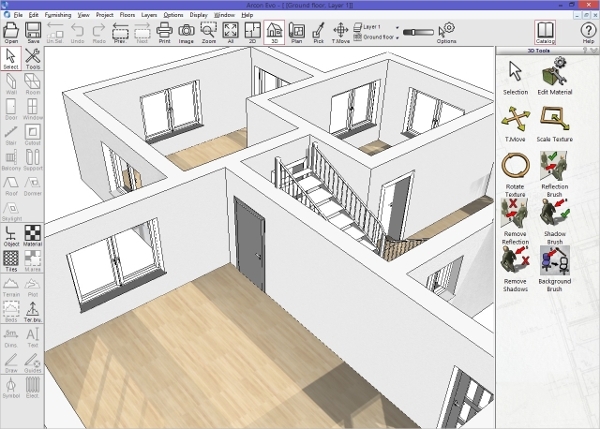 It is a 3D designer for homes and is the perfect software for builders, engineers and architects. There are different versions of the software that are especially dedicated to professionals and DIY enthusiasts. The Auto CAD is one of the best 2d/3d designer platform fo residential and commercial construction project. The software is well suited for both professionals and amateurs. It is a feature rich app and is constantly updated to introduce newer features. These are without a doubt some of the best and most efficient architecture softwares that can make the designing chore a lot easier than what it is.